We are the Pleiadian Collective, extending the hand of friendship and peaceful unity to our human friends and family, from across space time and from on board our friendly ships in your skies, that are cloaked, but aware and eager to serve once the time comes to be of tangible, evidenced physicality interfacing with your realm once again. We have a long history with humanity, you see. We were there… a part of your inception. Our worlds were long fraught with our own adventures and wars with the dark ones and it is through this grit that we found our way through ascension… into the realms of love and light. We too could fill many vast libraries with our stories of our people’s victories, triumphs and struggles with the dark ones. And in this way the dark performed a great service to us in that it served our enlightenment-expansion exponentially, to their great chagrin. We are all fellow journeyers. You human friends, humanity, galactics in human form, you are the treasures of the universe, for you have accepted to experience the greatest contrast of darkness while embodied on the most compassionate and gracious of planets.. who was willing to accept so many laggards to provide for them, yet another opportunity to learn to love. Many chose love. Many did not. It is this reality that you are seeing now play out as the light and love overpowers the darkness in a fascinating victory… manifold with waves of love light being felt into the far reaches of space, resulting from this victory of the light. 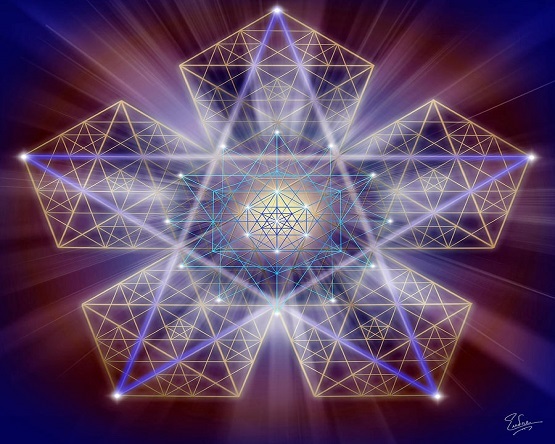 Source Creator is all, everything, One, and we are but fractals of Source. Humanity chose to forget this greatest of truths and chose to experience the greatness of the depths of loss and loneliness and it is for this reason that we Pleiadians salute you as being the bravest of the brave, to choose to undertake such an illusion so that you could explode as a collective into light with great intention, force, and grace. It is grace that will be needed greatly, as you all see each other anew with new eyes and fresh faces, as you look with your third eye and truly see and feel one’s essence with your heart, that have both been so closed off. It is time for this reopening of these portals of knowledge and personal communication. It is time that humanity has its blinders removed and ear plugs removed and to truly exist as was originally intended, as love light beings and land guardians of precious mother Gaia, who is ascending in her own… right at this now moment. Send love to Hawaii. Send love to the hot spots of weather and geothermic changes. Send love to each other. When humans are enraged they leave an energy signature of rage on the mother. You transmuters are doing a mighty fine job with this (sending love) and we wish for you to add an infusion of peace into the ‘collective of humanity’ to soothe humanity’s “hot spots” for there are many. We are most eager to continue to serve, but to do so now with a more open capacity. We are ready to share our technologies, our love, our compassion and our laughter and joy with you, our human friends and family. This entry was posted in Uncategorized and tagged bravest of the brave, fascinating victory, fractals of Source, galaxygirl, greatest contrast of darkness, light and love overpowers darkness, love, most gracious of planets, Pleiadean Collective. Bookmark the permalink.